The West Bend Back to Basics Cotton Candy Maker arrives ready for action. You just can’t beat this incredible price and its a breeze to use and clean. It includes 6 disposable cones and a measuring scoop so you will be ready to start spinning cotton candy immediately. Just have your sugar ready and in minutes, you will be eating this tasty treat. 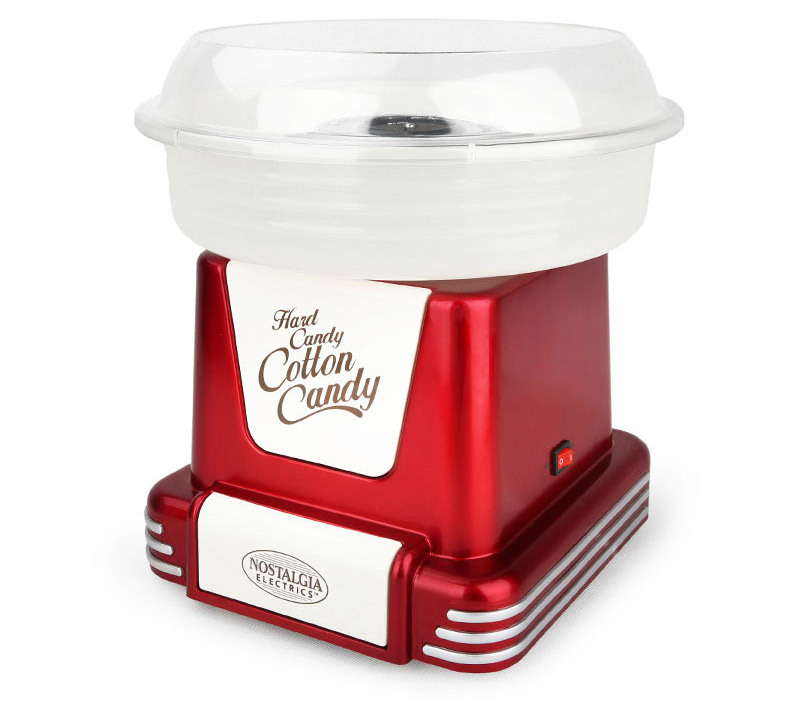 This cotton candy maker forms a part of the Back to Basics range which is offered by one of the most recognized companies called West Bend, which has been around for over 100 years. This machine really lives up to its title as it has a design that exudes simplicity, yet it also manages to be adorable and fun. The base of this machine is white with a few pink accents which is bound to attract the interest of any fun, quirky sugary treat enthusiast. This machine can make cotton candy by using hard candy as well as regular, colored sugar. However, it is advisable to first finely crush the hard candy so that the candy does not damage the device. Sugar packets and cones are available as a cotton candy kit but will have to be purchased separately. This device includes 6 disposable cones and a measuring scoop. This device is small and does not weigh a lot. It is just under 11 inches long and weighs under 5 pounds, therefore it will not take up much countertop space and will be easy to store. This machine is more suitable for home usage as it functions like an everyday household appliance, using just 500 Watts, which means that it is unable to meet the demands for large quantities of cotton candy. It is a good idea to keep this machine ready to go for events such as birthday parties or for personal events. 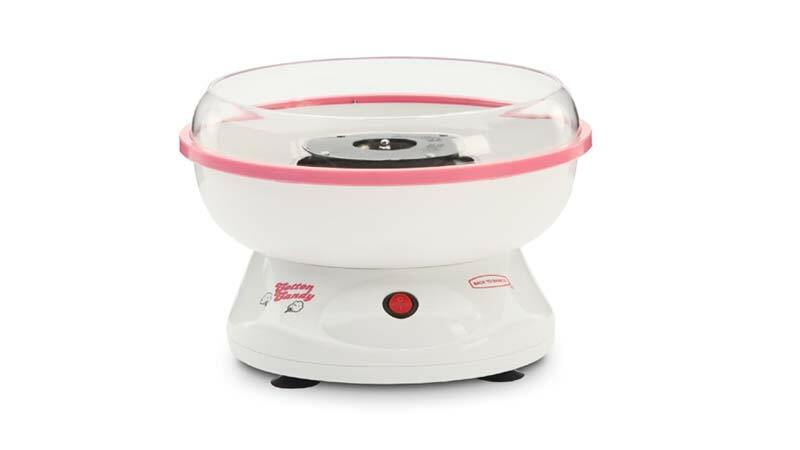 This cotton candy maker is available from online retailers, as well as directly from the manufacturer, at a lower price point, which unfortunately does not always guarantee quality parts, but this should not be an issue as this machine comes with a 1 Year Warranty should anything go wrong with the device.